Home » Labs » Experiment: Does age really matter? 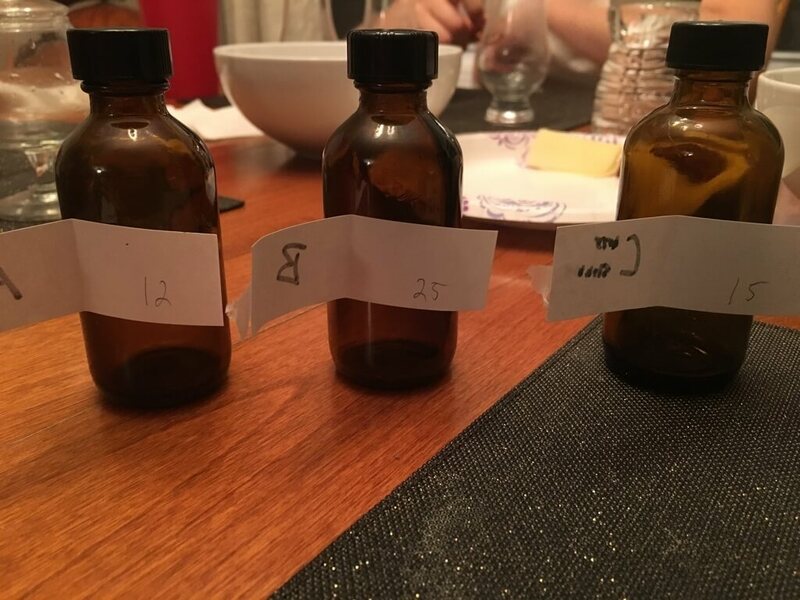 WARNING: Single Malt Savvy Labs experiment in progress! I love experimenting with whisky. I think exploring the nuances and details of fine spirits is one of the most interesting parts of the whisky world. So much work goes into producing your standard entry level 12 year old offering that I think we owe it to distillers to find new ways to appreciate what they produce. 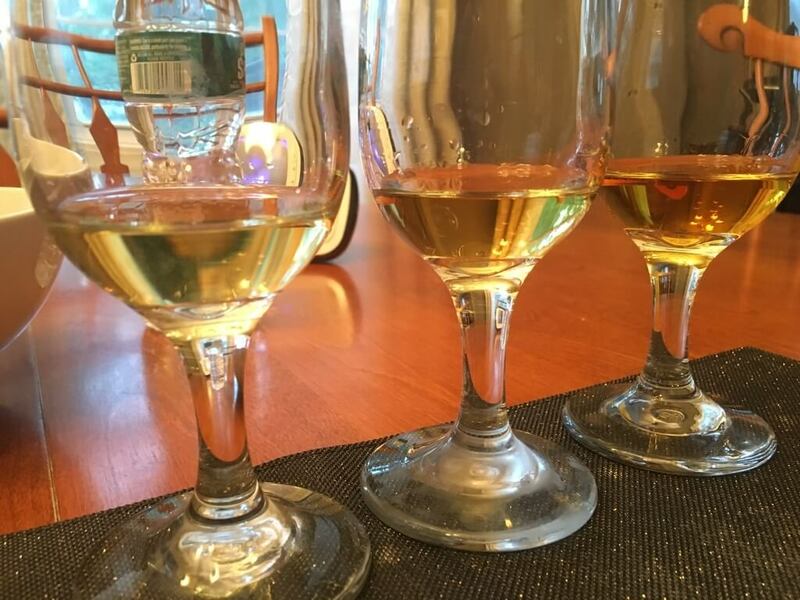 I’m a huge proponent of tasting whisky blind because whether or not you want to admit it, every one of us forms preconceived notions about a whisky when we know what we’re trying beforehand. Today, we took a quick look at how age affects the character and style of a distillery’s base spirit. Does older always mean better? What can be done to help a younger spirit compete with its older siblings? I tried this experiment with two other people to get multiple opinions on what we were trying. The three samples were all from a single distillery which remained unknown to my guests until the end. The three samples were all the same strength. Each sample was from a single ex-bourbon cask. The samples ranged in age but the ages weren’t known to my guests. Despite knowing what the three whiskies were, I personally didn’t know which one went into which sample bottle. Nose Quite fruity and floral, honey, tropical fruits (papaya and coconut), heather. Water brings out more coconut. Taste Fruity, a bit rough, berries, some allspice. More settled down with water and time. Water brings out tropical fruits here as well. Finish A bit hot, drying, vanilla after a bit, just a tiny bit of tropical fruit after about 60 seconds. Overall Thoughts Intense fruit and harshness lead me to believe that this is a relatively young whisky. The heat is the main drawback for this sample but I enjoyed the tasting notes themselves. This was actually my favorite nose of the three, but I'm a sucker for coconut. Taste Savory, oily, big vanilla, oak, leather couch, cigar box. Water and time bring out more oak but the vanilla remains throughout. Slight hint of prunes. Finish Long and flavorful, plenty of sweetness and oakiness throughout. Hints of tobacco and caramel at the end. Overall Thoughts Going from A to B was like night and day as the age was very apparent. This was the best tasting whisky of them all for sure. I love those big oily, leathery notes that come with age. 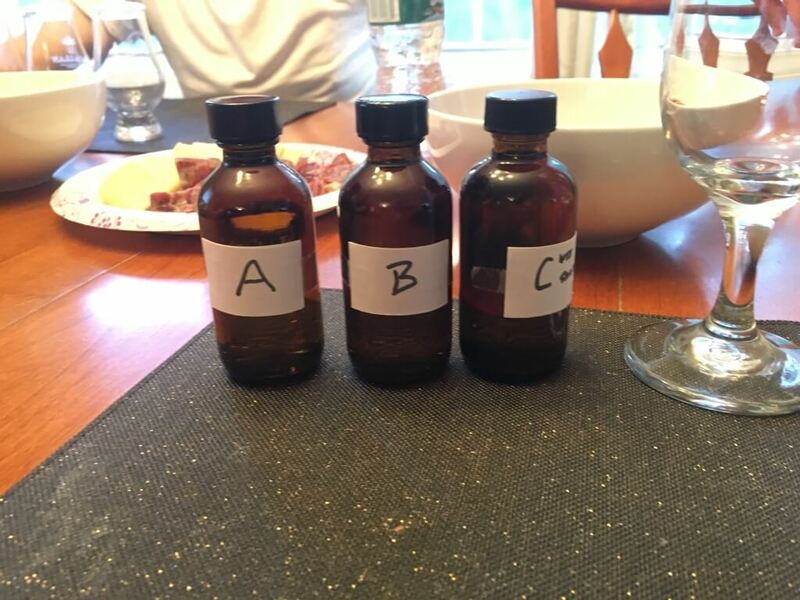 At this point, I felt bad because I already knew exactly what A and B were leaving only one option for C.
Taste Bourbony, big vanilla, honey, some orchard fruits. Dies down with water, honey is still big throughout. Finish A well-balanced finish, bourbon, vanilla, citrus, and some oak. Overall Thoughts I have enjoyed this whisky far more times than I can count. Everything about it screams familiarity and comfort for me. This had the best finish in my opinion because it was so well-balanced between the oak, sweetness, and fruitiness. Age can be an important factor in mellowing out some rougher whiskies. The cask type (first fill vs refill) makes a big difference, especially in younger releases. Sample A had the best nose of the three, but fell off on taste and finish. Sample B was the best tasting and had the best mouthfeel for me. The others agreed. Sample C had the best finish of the three as it was incredibly well-balanced. The others were split on this as one of them liked the finish on B better. For me, this experiment confirmed a few things for me. First, you can’t rush the aging process. Using a first fill bourbon cask for the 12 Year did wonders to add lots of flavor to the nose and taste, but mellowing out that heat can’t be done any other way but with time. I wish I could have tried a 12 year single refill cask to compare it to the 15 and 25 but we worked with what we had for this one. I also have some biases to older matured ex-bourbon Balvenies so it wasn’t a fair fight for me personally. In any case, there was no doubt between the three of us as to which one was the youngest and which one was the oldest and we all generally agreed on the favorite of the night.